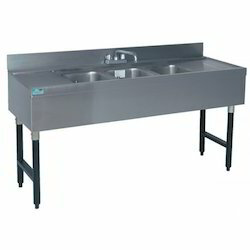 Cool Star is a trusted name in the industry that manufactures and supplies Preparation Table that can be availed in customer-specific designs and sizes. 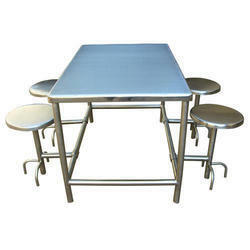 Optimum quality stainless steel is used for making these portable tables. Owing to their huge desk size, vast working space, corrosion resistance and ease of usage, these pot tacks are widely demanded in homes and hotels. 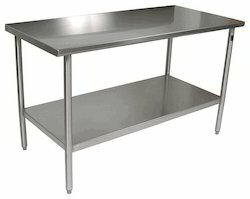 Being one of the preferred choices of our customers, we are involved in presenting Hospital Bed Table at affordable rates. 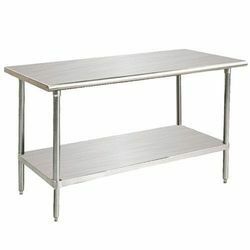 These durable and lightweight tables have a capacious top and can be transferred from one position to the other whenever required. 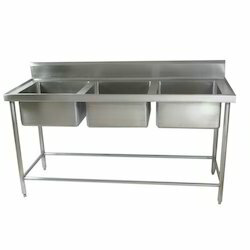 We make use of superior quality stainless steel for manufacturing these easy to maintain hospital bed side tables. We are one of the trusted names of the market that engages in offering Tray Rack Trolley that is made available in multiple custom-specific designs. 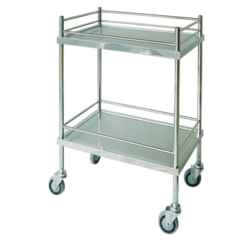 These durable and robust trolleys are manufactured in adherence to the existing industrial standards. 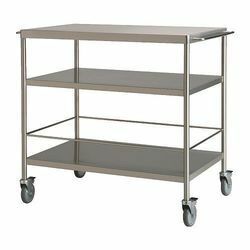 The proffered range of tray rack trolleys is extensively popular for its corrosion resistance, minimal maintenance and low cost. 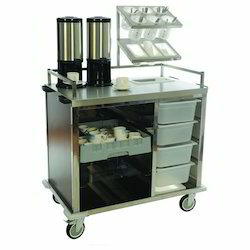 We are offering a wide range of Tea Snack Trolley. The offered products are highly demanded in the market for their corrosion resistance and reliability. Our trolleys are attached with high quality four wheels which make these easy to move from one place to another. 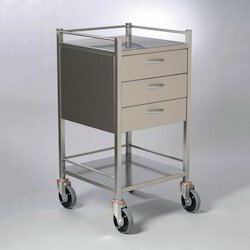 We have set a benchmark in the industry for manufacturing and supplying Nursing Trolley. 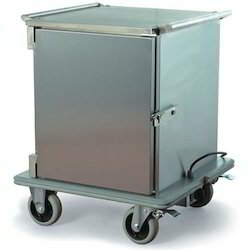 The offered trolley is used for carrying medicines and dressing material for patients in hospitals and medical clinics. 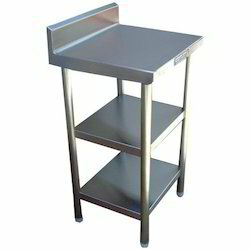 This trolley is made from high grade stainless steel procured from a highly reputed vendor base. It is provided with wheels, spacious racks and a dust bin for discarding waste. 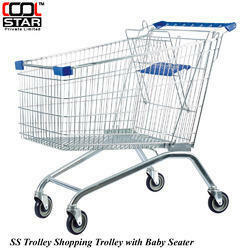 cool star company has gained immense recognition in this domain for manufacturing, trading and supplying an excellent assortment of SS Shopping Trolley Our offered trolley is broadly used for carring product from one place to another in shopping malls and supermarket. 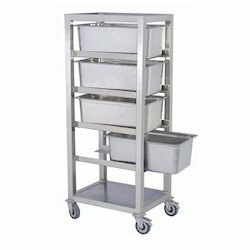 This trolley is manufactured by our dexterous professionals using top quality raw material and modern techniques in tune with set industry standards. 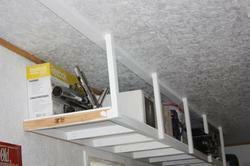 It is stringently checked by our quality inspectors to ensure its outstanding quality. 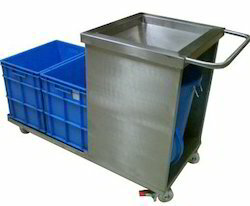 Provided trolley is available in different sizes at market leading prices. 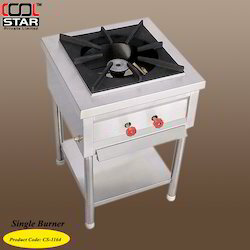 Our company is instrumental in offering premium quality Single Burner to our valuable customers. 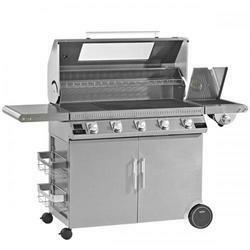 These burners are highly appreciated for their appealing design and long functional life. With our well-connected distribution network, we deliver these burners within the promised time frame at the customers’ end. 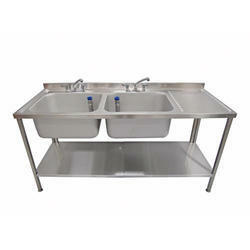 Sink Size: 20" x 20" x 14" / 18" x 18" x 12" / 16" x 16" x 12"
Dimensions: 60" x 15"/48" x 15", 60" x 12"/48" x 12"
Dimensions: 54" x 24" x 34"+6"/48" x 24" x 34"+6"
Sink Size: 16" x 16" x 10"/16" x 16" x 10"
200mm dia conical shaped Stainless Steel garbage shute on the top. 170 mm Back splash duly covered from back provided at rear. Legs made in 35 mm Square/Round Stainless Steel Pipes. 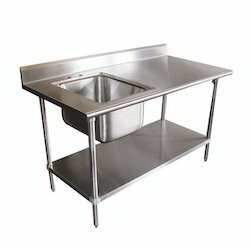 Dimensions: 24" x 24" x 34"+6"/36" x 30" x 34"+6"
Sink Size: 36" x 30" x 34"+6"/26" x 22" x 18"
Dimensions: 48" x 24" x 34"+6"/48" x 24" x 34"+6"
220 mm dia conical shaped Stainless Steel garbage shute on the top. 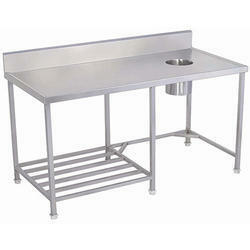 Table can be fabricated in any custom size to suit your requirement. 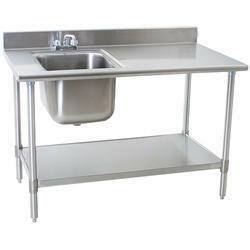 Dimensions: 48" x 24" x 34"+6"/72" x 24" x 34"+6"
Legs made in 32 mm Square/Round Stainless Steel Pipes. Dimensions: 36" X 24" X 34"/48" X 24" X 34""
Legs made in 48 mm Square/Round Stainless Steel Pipes. 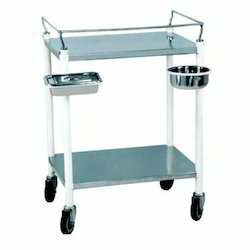 Dimensions: 85" x 25" x 35"+ 7"/72" x 25" x 35"+ 8"
We are the leading manufacturer and supplier of Hot Food Trolley. These products are manufactured using utmost-grade raw material and the latest technology in complete compliance with the industrial standards. Our product range consumes less electricity and low maintenance cost. Offered products are examined as per industry set parameters to ensure the entire range is free from any sort of production defects. 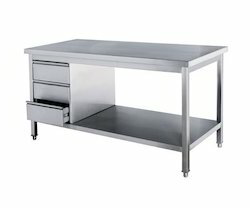 Looking for Trolleys and Tables ?